The Practical Nursing program at Americare Technical School balances classroom instruction with clinical experience. Students receive a solid foundation in the areas of Fundamentals, Medical-Surgical Nursing, Pediatrics, Obstetrics, Geriatrics, and Pharmacology. 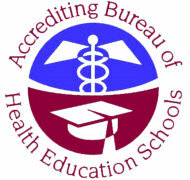 Graduates of this program qualify to pursue the NCLEX-PN State Board Licensure. What are Americare PN graduates qualified to do? 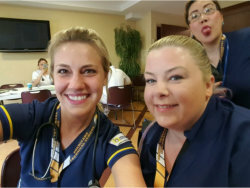 Our Practical Nursing Program of Americare Technical School is dedicated to training the students in vocational nursing skills to prepare them to care for individuals, families and communities along the health-illness continuum, in an effort to become competent and safe members of the health care team. Copy of High School Diploma/ GED certificate. Current CPR certification (Online CPR classes not accepted). Complete Physical Examination (Immunizations, TB two step/Quantiferon Test/Chest X-ray if positive)Full disclosure of current medical history is expected. Undergo a drug-screening test, with a negative result. Financial arrangements for tuition payments must be completed prior to the start of the program. Americare Technical School will evaluate transfer students on an individual basis.